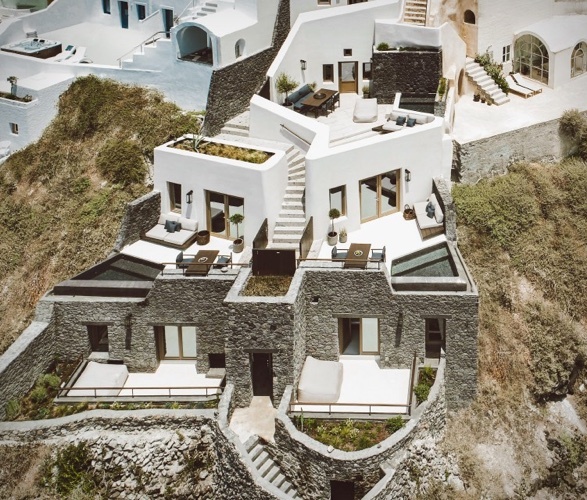 Vora Villas is a place to keep in mind should you be thinking about going to Greece for some vacation time in a nearby future. 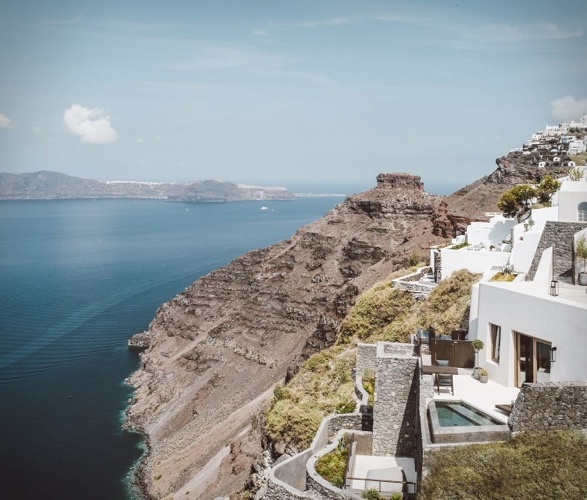 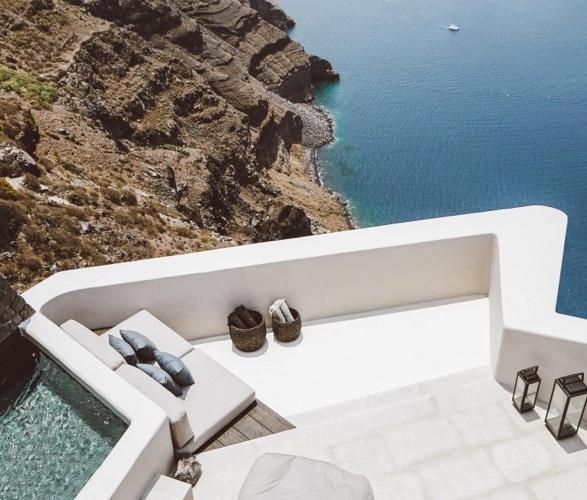 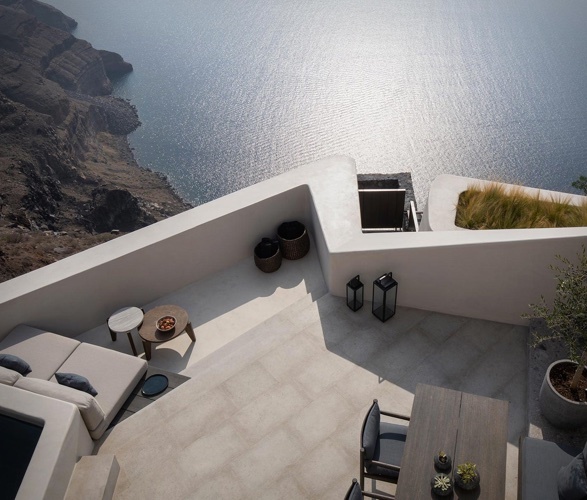 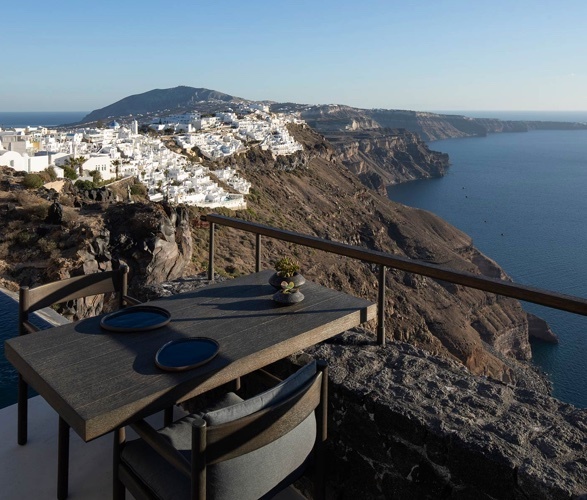 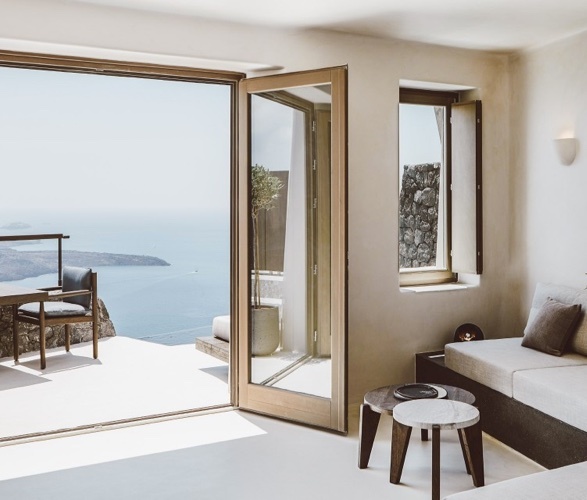 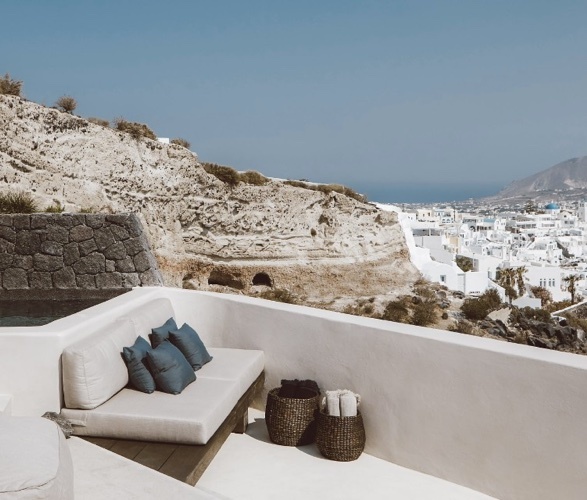 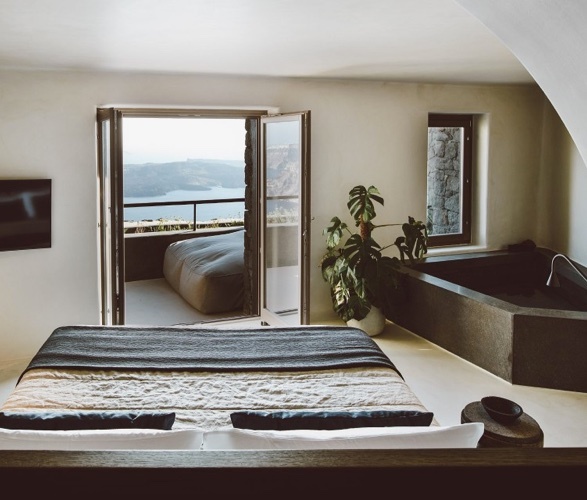 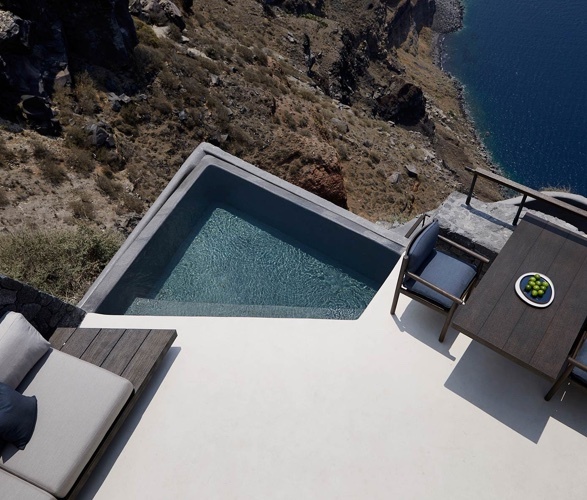 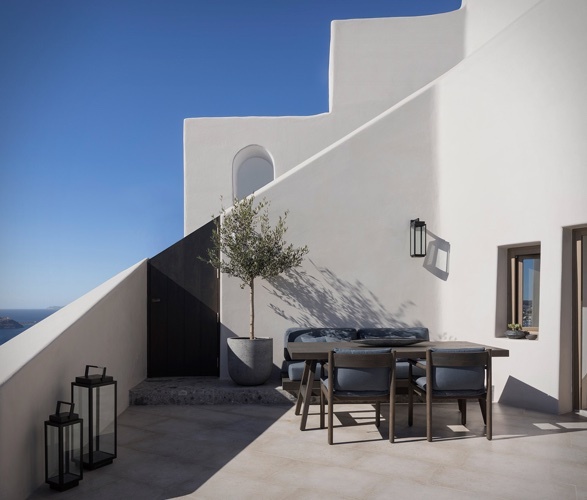 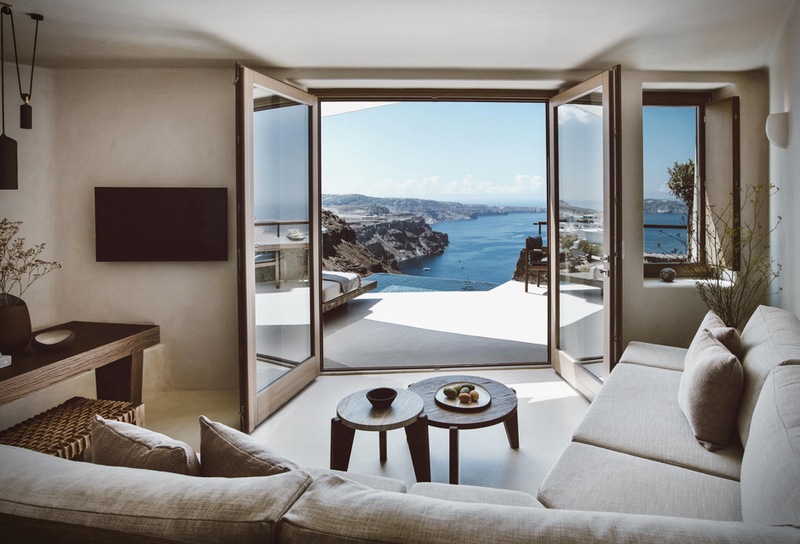 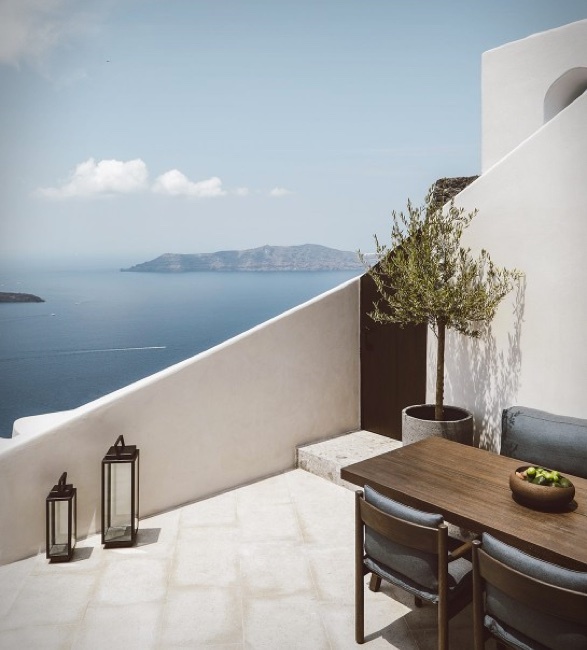 The impressive resort has four luxurious villas located in Santorini on the volcanic edges of the island providing an amazing view of its mesmerising surroundings. 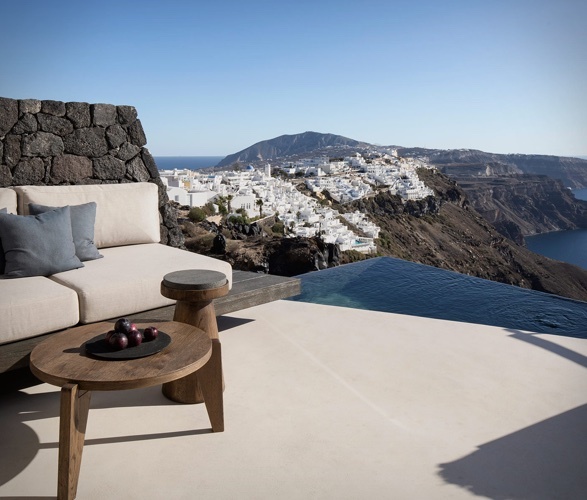 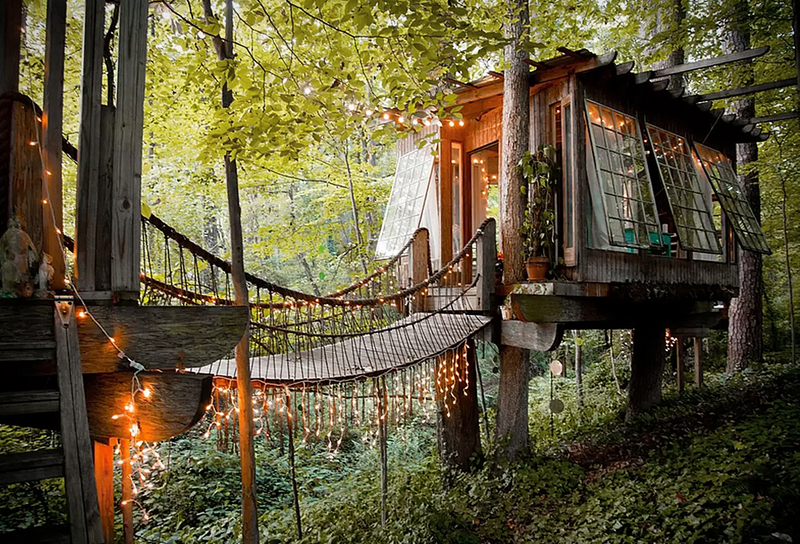 This award winning project was put in place by the K-Studio design team aiming to provide a high-end experience. 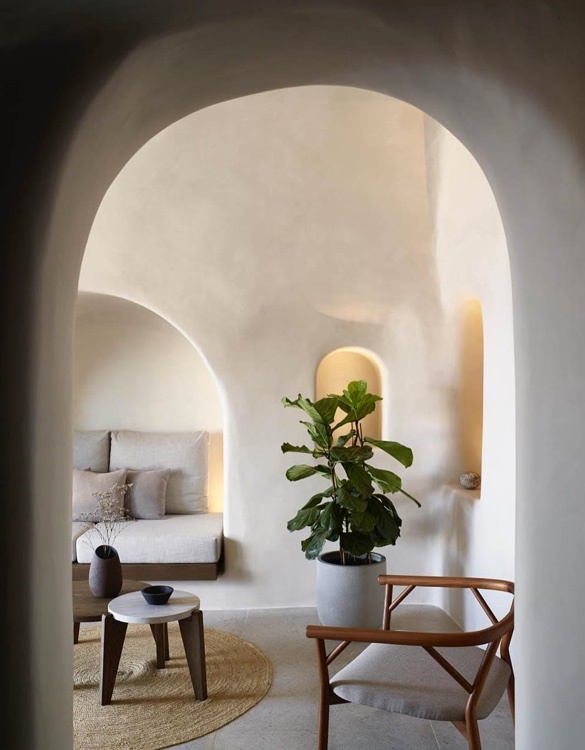 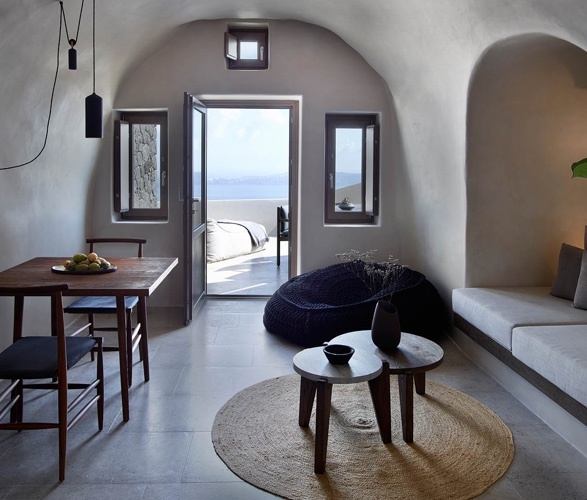 It uses old traditional dwellings with top of the line materials and a minimal look with Cycladic inspiration. 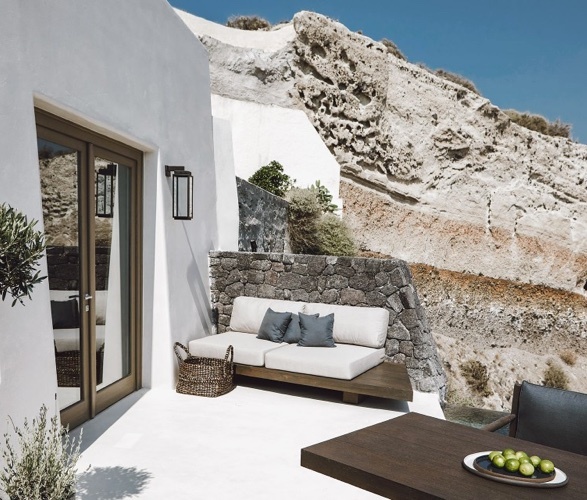 The nearby volcano contributes to the dramatic flair you will feel every time you look out the window, take a swim on its outer pools, or chill on its verandas. 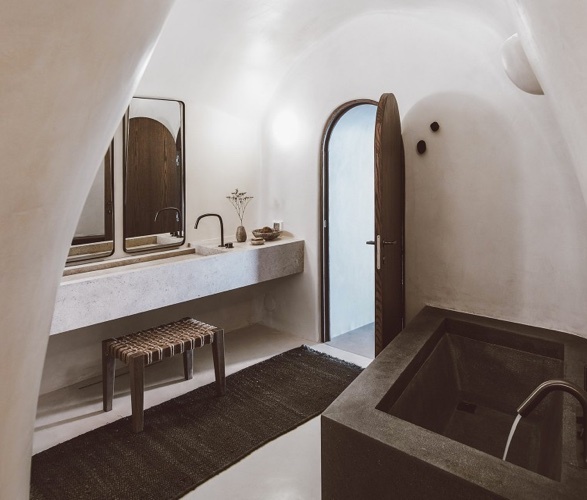 Privacy, luxury, plus an old feel with a contemporary look are just some notions that were put in place by this studio with great success.